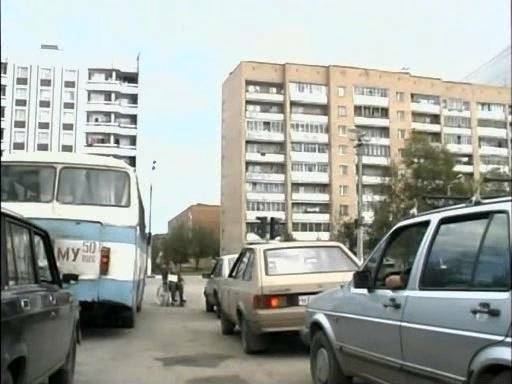 IMCDb.org: 1987 Moskvitch 2141 in "Dalnoboyshchiki, 2001-2012"
Not Svyatogor. This one is Soviet 2141 with self-painted bumpers. All Svyatogors had metallic colours, this Moskvich has typical soviet colour for 2141. So, 1987+ Moskvich 2141, Model origin - USSR.